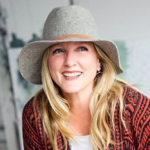 I have the most colorful news to share tonight! 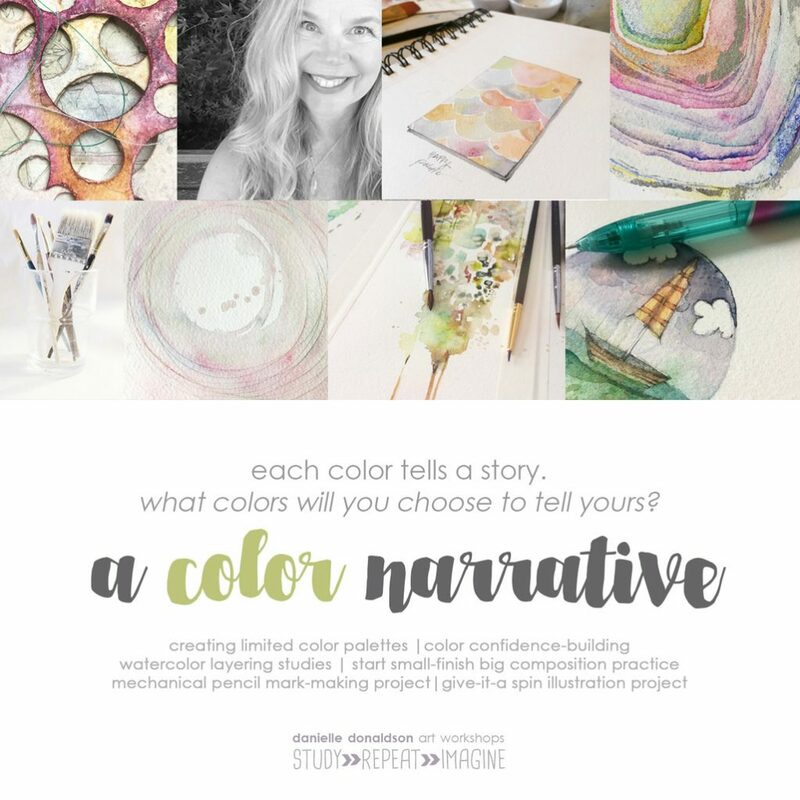 We have just opened early registration for Danielle Donaldson’s newest online course A Color Narrative! Guys! 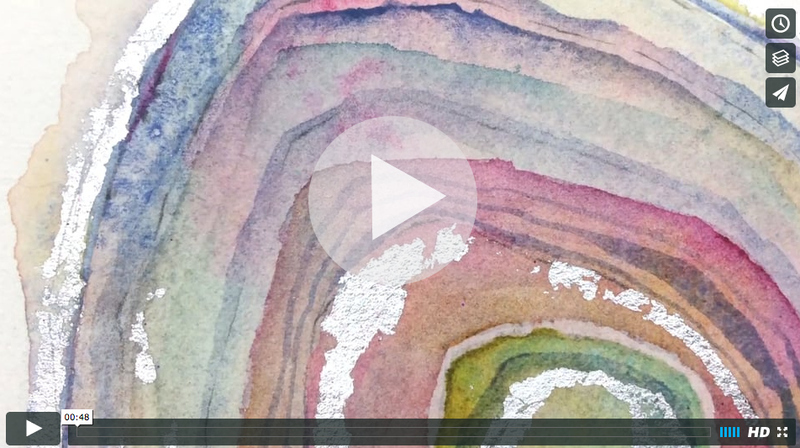 It is so stunning and the watercolor geodes had me all weepy they are so beautiful! A Color Narrative is a one week online course (4+ hours of content) with lifetime access. The early registration price is $32. To register or to read more come on over to our creative network! jeanne how long is early registration for Danielle’s new class. A Feb purchase would be easier for my budget but don’t want to miss early bird. The early registration will end on February 6th. Thanks! Hi There! I don’t understand completely what we will learn in this course, sorry. I have taken ALL of the FABULOUS Danielle Donaldson’s courses and treasure them all. 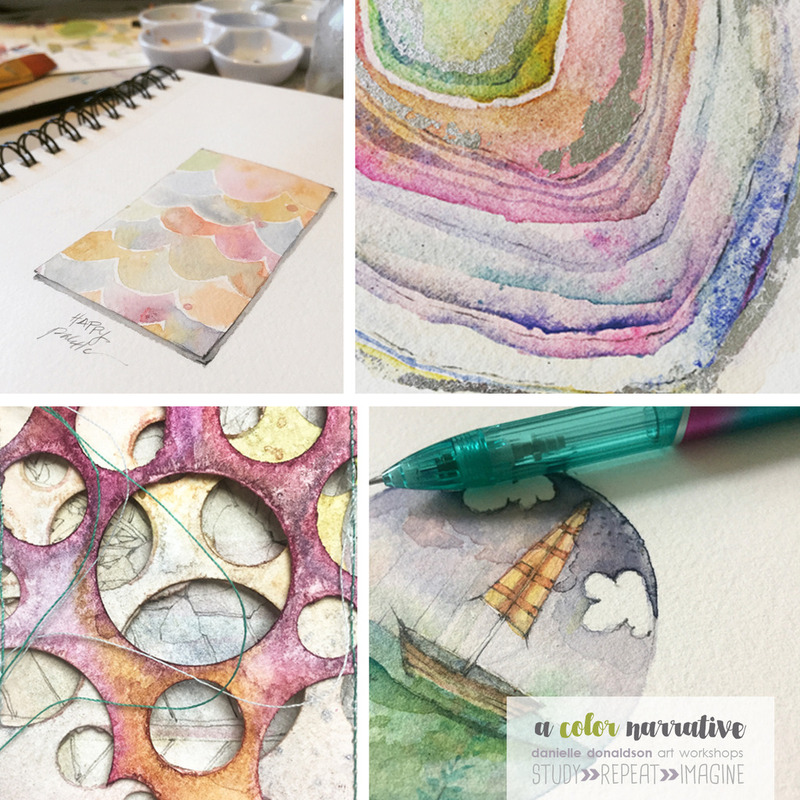 She has taught color mixing, washes, blending, drop in colors, and illustration, etc… and excellently I might add, but what will she teach that is different in this course? I know it is probably my brain not understanding, ah to be on the autism spectrum, albeit high functioning, can have its challenges sometimes. Again, sorry if I am the only one not understanding. 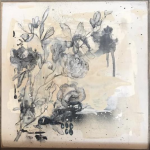 You are learning how color tells a story in your art and how to incorporate it based upon the feelings you want to express. 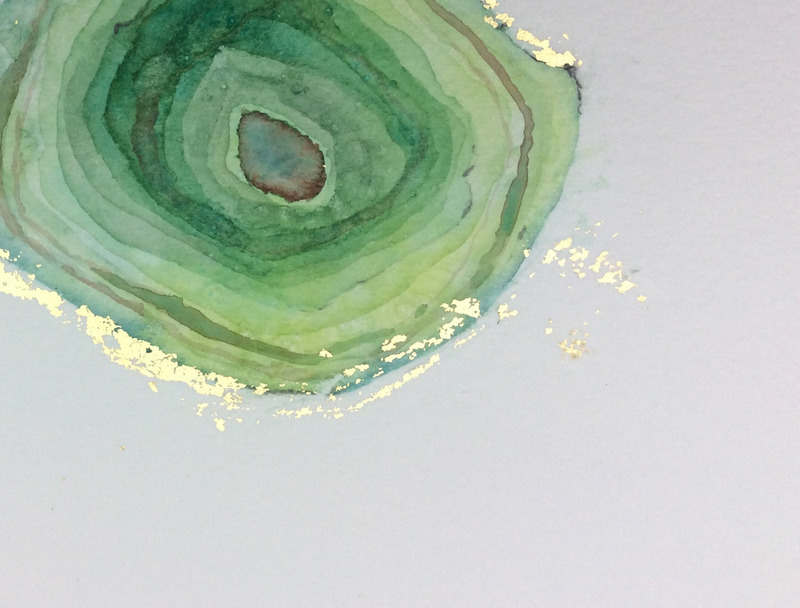 Here is the course description: Color tells stories and shares emotion in ways words can’t. In our time together, I’ll help you discover the beauty of each color and the stories they are ready to help you share through your art. 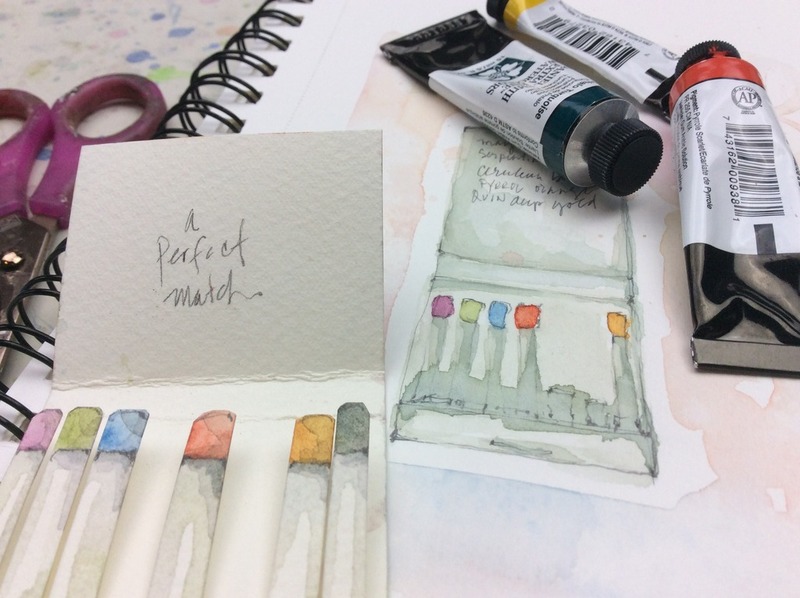 We’ll begin by learning how to build limited color palettes that travel well and push you to figure out how to create your own beautiful colors. Once we have built our palettes, we’ll learn to mix a plethora of colors with a series of simple questions and adjustments. 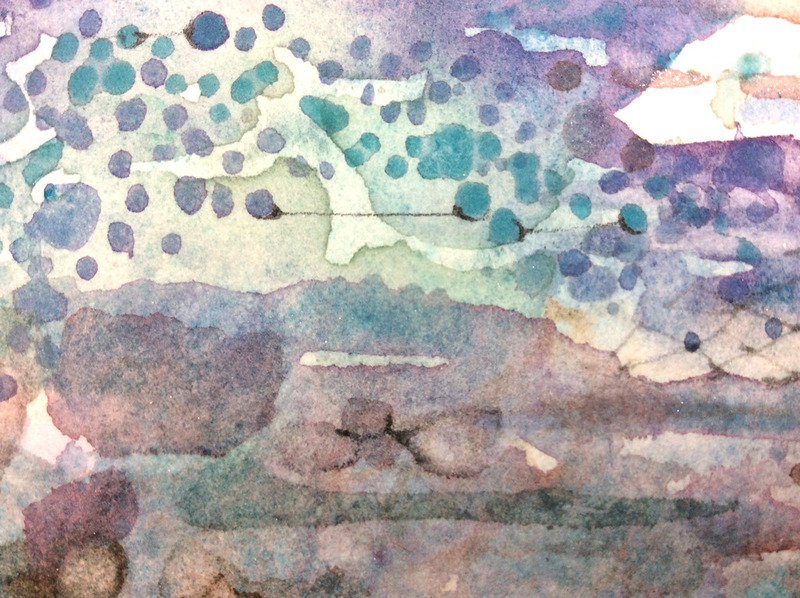 Next, we’ll work on some exercises that will reveal the importance of composition in storytelling – painting different kinds of watercolor washes with an emphasis on layering techniques and mark-making. 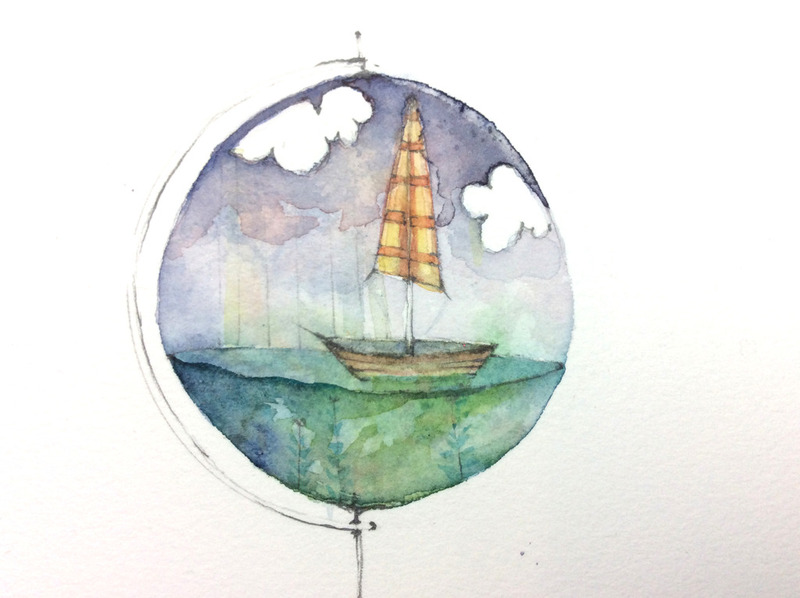 We’ll conclude our time together with a pretty give-it-a-spin illustration project that includes a fancy globe filled with color, imagination and a few of your favorite things tucked inside! I too enjoy the classes I’ve taken with Danielle and wanted to understand more of what this class was about but was afraid to speak up. Thanks for filling me and to you @Toot for helping by expressing a need for hearing more about this course description. Everything I shared is on the registration page if you need to re-read it at any point. Thanks. Hi, I am interested to sign up for the class. But I have difficulty setting up an account. I have sent in emails to enquiry but no replies. So do I pay for the class first so as to become a member? Please advise. Thank you! I still have not received a reply to my question: ” What materials are used in this class?” Since today is the last day for “early bird” I guess I will miss this opportunity, but i want to know the materials before signing up.